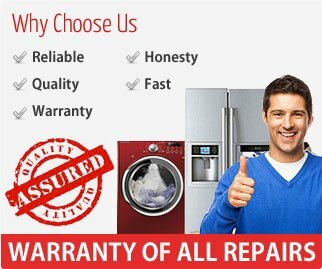 Appliance Masters Repair Service Has A Committment to Honest, Quality and Affordable Appliance Repair Service In And Around The Huntsville Alabama Area. Appliance Masters Repair Service is based on the belief that our customers' repair needs are of the utmost importance. Our entire team is committed to meeting those needs. As a result, a high percentage of our business is from repeat customers and referrals. Hello, my name is John Montero and we are just now getting this business rolling. My best friend, John Adkins, has worked for every major appliance repair company in Huntsville Alabama. He is loved by his customers and truly cares about the quality of work that he delivers. For that reason I have noticed over the years that his past customers have always tried to track him down so that he could repair their appliances. I approached John with an idea. I said to him, "How about going into business for yourself so that you can lower the prices for your customers but still deliver the same great quality that you have been delivering for the past 16 years. John agreed that we should move forward with our plans so here we are. Hello, my name is John Adkins of Appliance Masters Repair Service here in Huntsville Alabama. I have been an appliance repair technician for over 16 years now. My best friend (John Montero) and I started our appliance repair service in 2012. We believe that if you give your customers good service, treat them with respect, charge low prices and just treat them like you would want to be treated then we can maintain a large appliance repair customer base and have a successful business. This is the way that we have always done business and will continue to do business!! 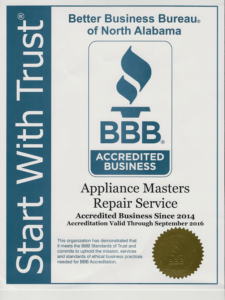 Appliance Masters would welcome the opportunity to earn your trust and deliver you the best service in the industry in and around the Huntsville Alabama area.